Rosa Miniatures and Games has been commissioned to produce a game that will feature Steam Automatons (robots) set in the Victorian Age. Think HG Wells and Jules Verne" steam engines, pistons and gears. All models need to fit on a 45mm diameter base and be no taller that 65mm. We are looking for three very different models / concepts and will award three prizes. This contest is for quadruped (4 legs) all other features are up to the artist. Selected models will need to be meet 3D production standards (I would read Shapeways guidelines) and be delivered in a STL file (production) and a rendering (for advertising). There has been some question as to what an Automaton is. This term was used to describe "robots" run using analog computers. 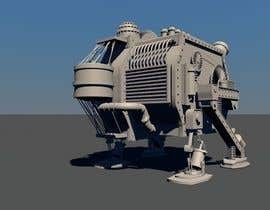 I have attached to concepts: one from the 1890's Sci-Fi book and the other a scratch built model. The images are of bipedal walkers. This contest is for a Quadruped or four -leg creation. Hi, I am glad you like my automaton, it was really fun to work on this contest. 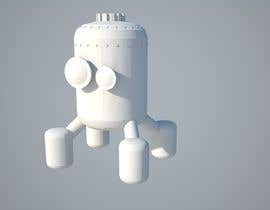 Please send me a message with some more information about future work and where should I send you STL model and other things? If there will be some problem with model also contact me. We are having a very vigorous debate here. The author of the game is AWOL. The game has a number of different type and levels of Automatons: There are "humanoid" scouts and heavy war machines that is why I left the contest open. In addition I have another Steam Punk game by a different author and he has very strong opinions. Machine in his game would be manned vehicles. i think its normal for a project as good as this, getting a job designing robots is like a dream ccome true to gaming enthusiast :) plus there is a lot of potential designs. Does the 65mm height limit include the base? 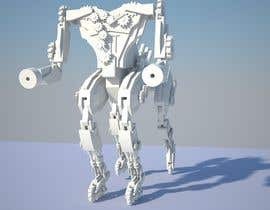 ill be submitting entries for all the contest, i have already done the crab and walker model today, ill start the quad automaton rght now and im plannning on submitting all of them in a couple of hours, thanks. my kind of thing! will send an entry. i can work with autodesk maya? .. If so: that I can deliver my file format? I do not know why not. 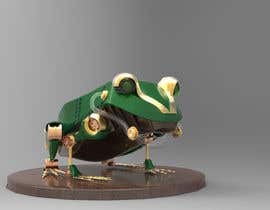 Can Maya produce a STL file?